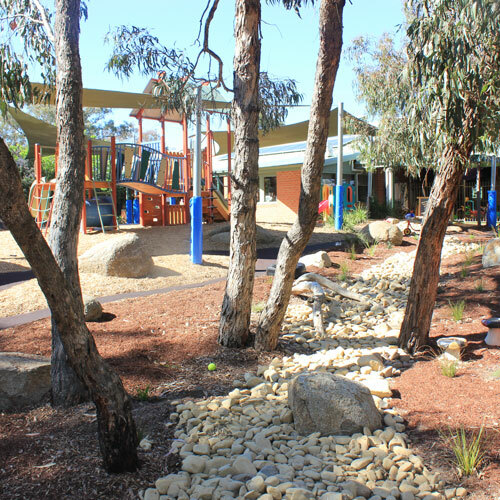 Eltham Woods Child Care Cooperative is a unique centre situated in a bush setting, amongst the gumtrees and away from main roads. We are a community based non=profit centre. Parent involvement is encrouaged in many ways, from the Committee of Management to being actively involved in your child's program. Our program is based on the National Early Years Learning Framework. Through individual observation and interactions with children our educators develop stimulating programs that assist children to further their development in all areas of their development. We also have a qualified Early Childhood Teacher to provide our children with a fully funded kindergarten program for children preparing to transition to school the following year. The program operates four days a week and there is no extra cost involved for those parents wishing for their children to partipate.